This lightweight XL Parachute Nylon Hammock is built for comfort. 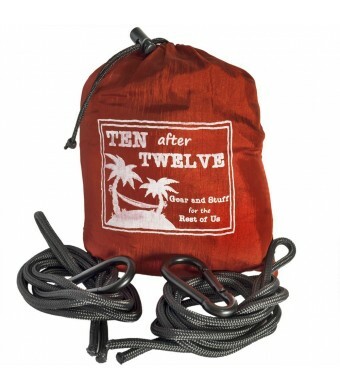 Includes built in drawstring carrying bag, tree ropes, and black steel caribiners. Comfortable and easy to use. Great for backpacking, camping, hiking, or goofing off at work. This Double-Big-Guy sized hammock is Fat Guy Tested, Fat Guy Approved! Hiking is hard work! At the end of the day, you don't want to be cramped up into a tiny, uncomfortable hammock. This hammock is 9'4 by 6'6, giving you plenty of room to stretch out and relax after a long day of trekking through the wilderness. Isn't it more fun to share the experience with someone you love? With a weight capacity of well over 400 pounds, your larger camping buddy will enjoy being able to snuggle up next to your skinny self. Made of 210T nylon, with triple stitched reinforced seams, this lightweight portable hammock is great for travel, outdoor activities, or just goofing off at work. 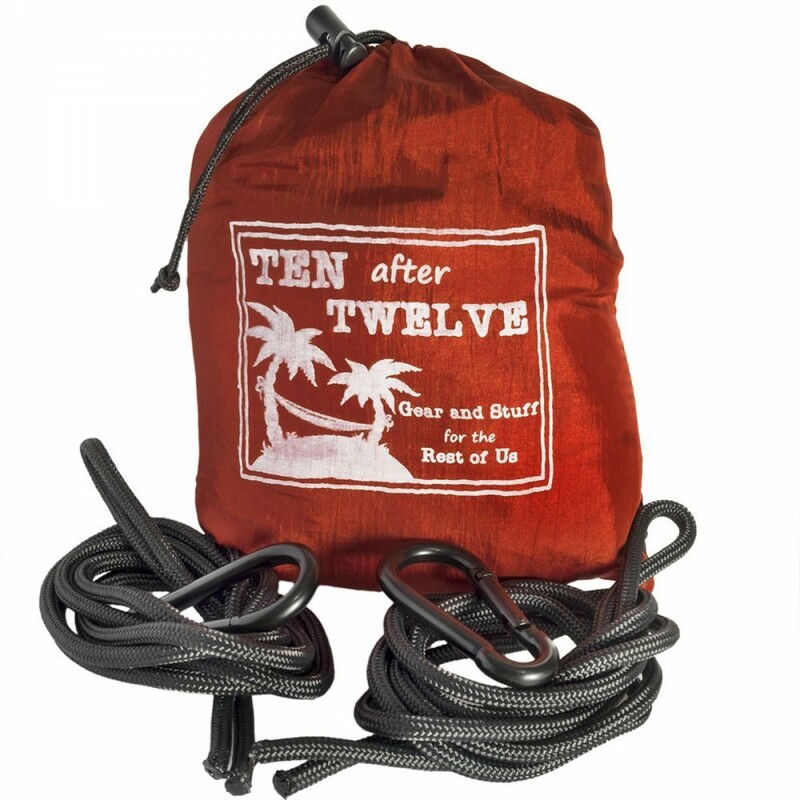 The included carabiners and tree ropes make hanging it a snap. WARNING! Use of this product may cause EXTREME RELAXATION. Use with care. OK, you know you want one now. What are you waiting for, an invitation? Click that Add To Cart button and get on to some serious hammock action!